Problem solving during a cardiac arrest can be frustrating, especially when the patient arrives as a John/Jane Doe. 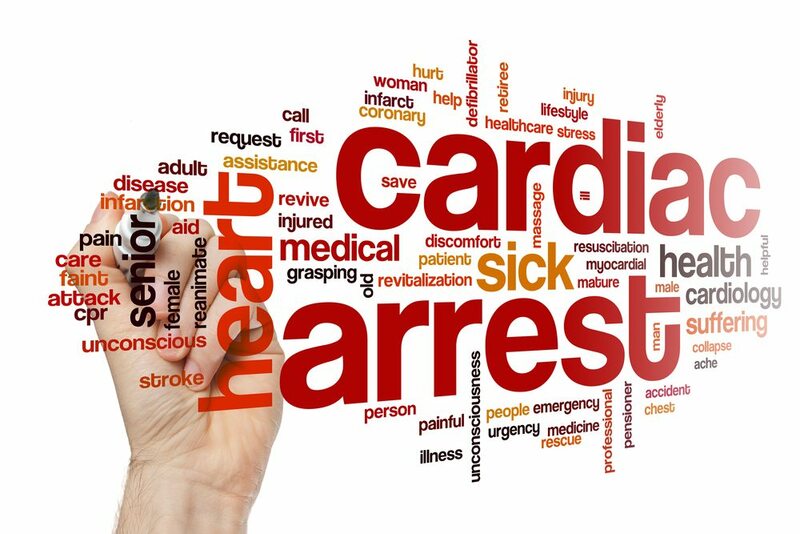 The American Heart Association Advanced Cardiac Life Support Pulseless Arrest Algorithm discussed here and here, seeks to clarify the decision making process and the differential diagnosis during a pulseless arrest. We drill this extensively during our ACLS courses. Knowing the patient in advance and having time to anticipate likely scenarios can be a great help. Unfortunately, in many areas where ACLS is practiced e.g., EMS-911 or the Emergency Department, the luxury of information and knowledge of a patient’s comorbidities are not available. In these areas, the American Heart Association ACLS Pulseless Arrest Algorithm helps clinicians (MDs, RNs, EMT-Ps and RRTs) problem solve using an evidence-based approach to the most likely scenarios for a pulseless arrest. I know it may sound contrived, but in my ED we actually do run through the H’s and T’s methodically during every code in which a return of spontaneous circulation was not achieved after the first or second shock. We discuss them as a team and check them off the list if we have already addressed them. Here’s a quick synopsis of the H’s and T’s in the 2015 algorithm covered in ACLS courses. Before we get started, however, I’d like to point out that bedside ultrasound and point of care devices like ISTAT are completely changing the game and getting us most of the H’s and T’s within minutes of arrival. Hypovolemia is a precipitating event in many arrests, often with trauma as the cause. During our ACLS courses we stress the need for early IV access and appropriate fluid bolusing either to replace lost intravascular fluids or to support the action of various pressors used in the ACLS algorithm. If you’d like extra information on the use of a pressure infusor, click here. The mainstay of hypovolemia treatment continues to be NS/LR with a bolus to effect principle. There is a new study (NEJM March) that appears to favor LR at larger volumes in critically ill patients, which is worth a read. Ultrasound is a standout here for assessment and management. There are many causes for hypoxia, both on the 02 delivery side as well as the consumption side. Sorting through them in the first minutes of a code can be a challenge, so everyone gets high flow 02 until proven otherwise. I realize literature is moving away from this, but practice remains the same. Point of care blood gas sampling has made this piece of the ACLS guidelines a lot easier to sort out. We use an ISTAT to run a VBG/ABG and get our results in 120 secs. We expect most of these patients to be acidotic and may treat empirically, but still the information may change management. Potassium is essential to the cardiac cycle; too much or too little pump and electrical function will be compromised. Here, a bedside point of care device can get us critical information in as little as 2 minutes. Combine this with a good history and a 12 lead ECG and we should know what type of management is required. Every coding or altered patient needs a FSBG (Fingerstick Blood Glucose) immediately upon arrival; in other words, immediately upon contact with the patient. This one is a gimme; an amp of dextrose can work miracles. As the saying goes, the patient’s not dead until they are warm and dead. Get a core temp ASAP and understand that hypothermia causes dozens of changes in the body’s enzyme systems that can wreak havoc. Is your patient bradycardiac, altered and hypotensive? Hypothermia may be the cause. Hopefully we can get a good history and a tox screen; if we’re lucky, we’ll get a patient snapshot and medicine list as well. The meds most often cited as culprits for arrest are actually prescribed medications that our patients are regularly taking. An obstructive shock: ultrasound here is a wonderful tool. If you haven’t read up on Beck’s Triad, it can be helpful as well, if advanced imaging isn’t available. An obstructive shock: ultrasound here is also a great tool, as is a CXR. These take a long time to build up, especially in a large urban environment. Why do we always insist on a 12 lead on every patient?? The 12 lead ecg and later a troponin test will tell us what we need to know. Sources often quote that up to 40% of all out of hospital arrests result from an acute MI. Looking for a lethal dysrhythmia? Starve a myocardium of oxygen. An obstructive shock, ultrasound can provide near immediate results if the right atria and ventricle can be visualized. Saddle PEs have alarming mortality rates ~70%. Consider tPA for fibrinolysis. Surgically correctable phenomena leading to an arrest; it needs to be dealt with ASAP or other interventions may be futile. Any emergency department can be a scene of chaos at any given time. Problem solving is a crucial part of every ER team’s tool kit. Learning the ACLS course algorithms, along with the H’s and T’s, can go a long way in helping your team’s problem solving skills, and ultimately save lives. If you’d like to take our ACLS courses, visit our ACLS Certification page or contact us to discuss your needs. Our classes are flexible, with online and onsite options available.